Featuring both 4” x 6” and 12” x 12” monolithic lites of popular Vitro glass products, these kits have been carefully crafted by our architectural services team to provide you with a useful tool for determining how a glass might look and perform in a given environment—although we always recommend evaluating a full-size glass mock-up in situ before moving forward with fabrication. Four glass sample kits headline our selection, all available without cost to you, in the Vitro Sample & Literature Fulfillment Center. Why You Need It: According to the U.S. Department of Energy’s Efficiency and Renewable Energy Buildings Energy Data Book (2012), 61% of a building’s total energy use consists of HVAC, ventilation and artificial lighting costs—all areas in which glass can make significant, long-term cost savings contributions. 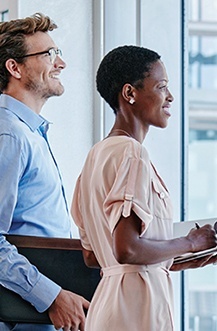 High performance low-e glasses greatly facilitate downsized mechanical equipment costs and reduced energy costs for continuous, long-term savings. Typically, the investment in a higher performing low-e coating will return its investment relatively quickly. Trusted by architects for half a century, the Solarban® glass products included in this kit keep occupants comfortable and allow you to realize your boldest visions. They feature some of the highest light-to-solar gain (LSG) ratios in the industry and can be combined with a wide array of tinted glass options by Vitro for even better performance and aesthetic effects. What You’ll Get: A range of solar control low-e glass products, including Solarban® 60, Solarban® 67, Solarban® 70XL, Solarban® 70XL Optigray®, Solarban® z50, Solarban® 90, Solarban® R100, Solarban® 72, Solarban® 60 Starphire® and Solarban® 60 Solargray® glasses. Where to Get It: Click here. Why You Need It: Tinted glass lowers the amount of sunlight, reduces glare and provides neutral-warm or -cool palette colors, from light to medium to dark. Tinted glass is ideal for any project that can benefit from added color that harmonizes with the overall building design and site features. Tinted glasses are also great for reducing glare. 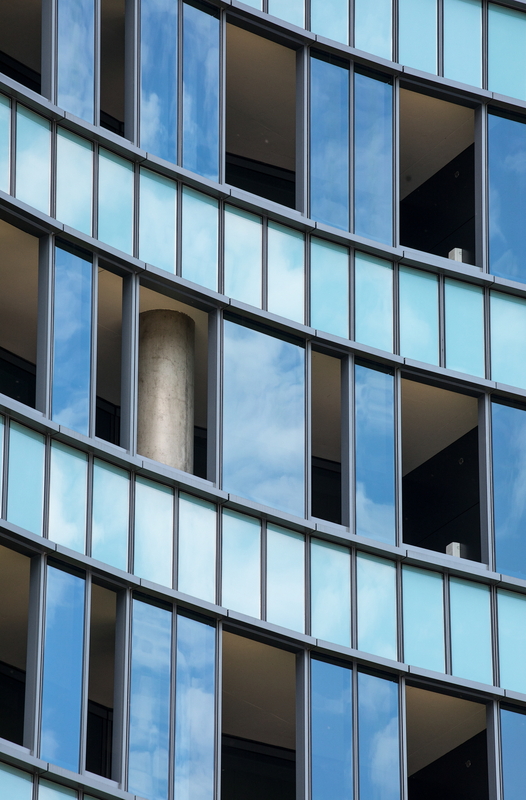 Some applications for tinted glass include IGUs, facades, safety glazing, spandrel glass and single-lite monolithic glass. Tinted glasses can be produced with low-e coatings for additional passive or solar control performance. 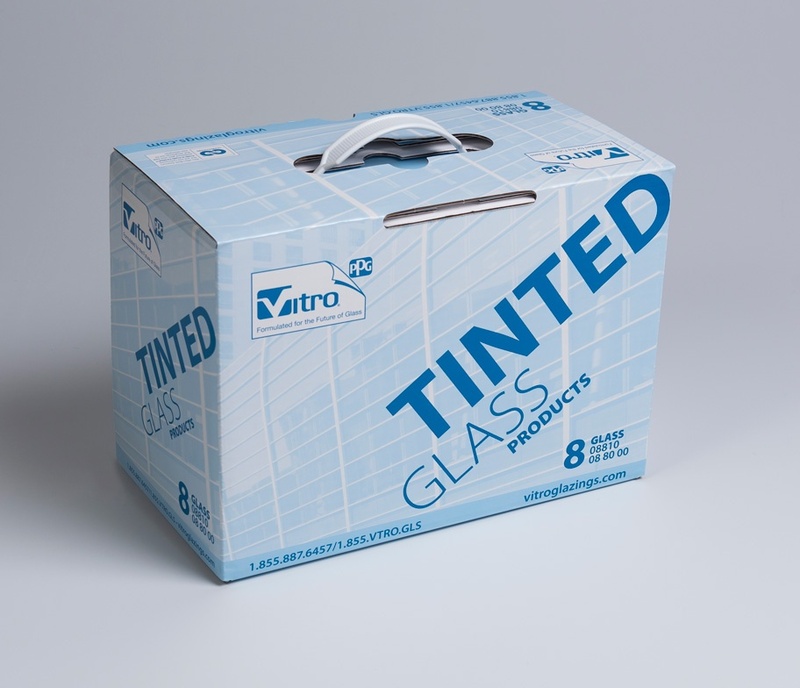 What You’ll Get: This sample box contains an assortment of 20 4" x 6" 6mm monolithic lites of popular tinted glasses by Vitro Architectural Glass, including Graylite® II, Pacifica®, Azuria® and Solexia® glasses. 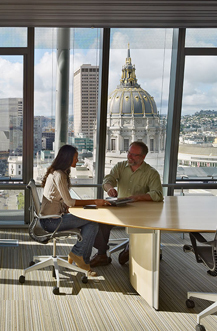 Why You Need It: Interior glass is quickly becoming one of the most popular building materials in workplace design. (Read the February 2017 issue of Building Design + Construction to learn how interior glass can open offices to light and collaboration.) To satisfy increasing demand for brighter, aesthetically distinctive interior spaces, Starphire® glass by Vitro Glass can be manufactured with acid-etched patterns, mirror effects, back-painted colors and more. What You’ll Get: This sample kit contains a range of glass products ideal for interior design applications. 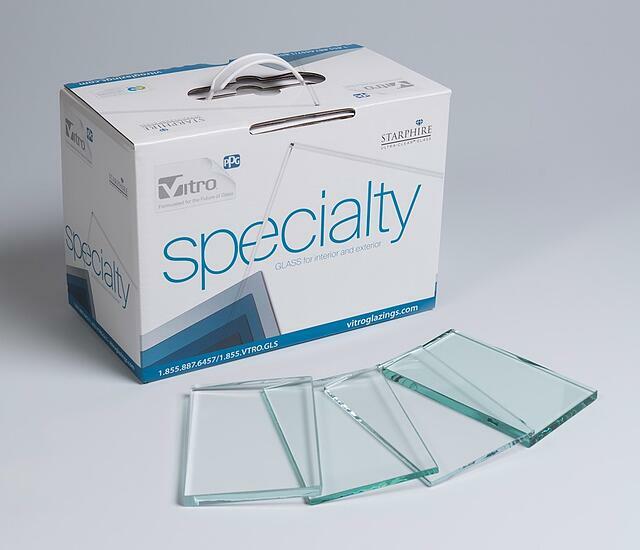 Twenty (20) 4'' x 6'' glass samples are included in assorted thicknesses, tints, colors, coatings and effects—manufactured by Vitro Architectural Glass and its alliance partners. Selections include: Starphire Ultra-Clear™ glass and Clarvista™ shower glass, as well as emerald green, bronze and a range of blue and gray tinted glasses by Vitro. The kit also includes colorful metallic and painted glasses from ICD Coatings and beautiful acid-etched translucent and mirror effect glasses from Walker Textures™. Why You Need It: Aesthetically, the clarity and color fidelity of Starphire® glass makes it ideal for interior elements like spiderwalls, balustrades, fish tanks, backsplashes and doors. But in higher thicknesses, Starphire® glass truly shines. Typically, when you order glass for countertops, tables, glass doors, room dividers or shower enclosures, the edge color gradually changes according to the thickness of the glass. If you look at the edge of almost any piece of standard clear furniture glass, you’ll notice a green cast. That effect is exaggerated as the glass becomes thicker or longer. But with Starphire® glass in higher thicknesses, you'll see a significantly reduced greening or distortion effect compared to that of traditional clear glass—this property makes it ideal for safety and security glazing, safety barriers, protective windows and doors. 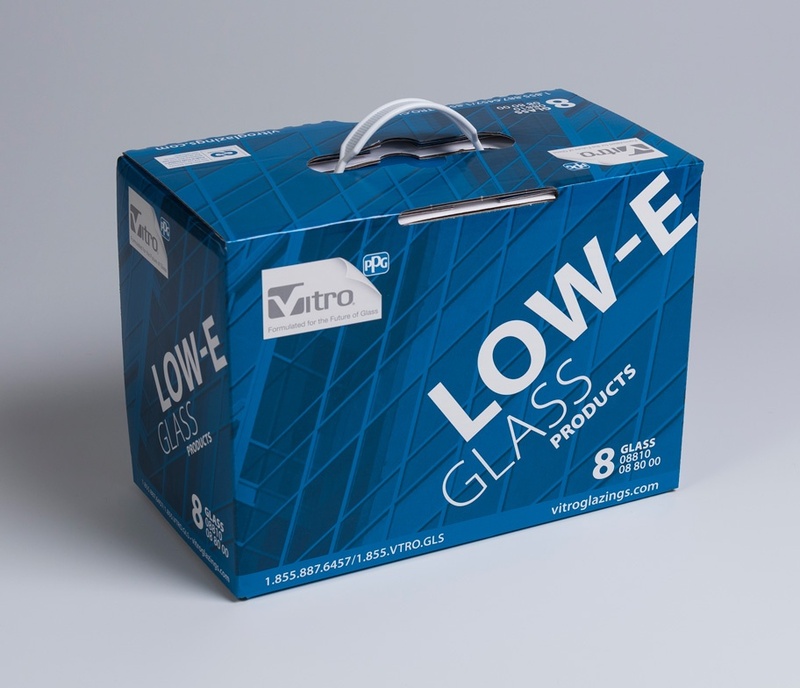 What You’ll Get: This kit contains two 4" x 6" samples of clear glass and Starphire Ultra-Clear® Glass by Vitro Glass in 15 or 19mm thicknesses.